Profollica Is Now Doctor Endorsed! As the side effects associated with prescription drugs used to treat hair loss become more well known, more and more doctors and health care professionals are seeking natural alternatives to recommend to their patients. It's VERY unusual for *any* non-prescription hair loss solution to earn a stamp of approval from the medical community. 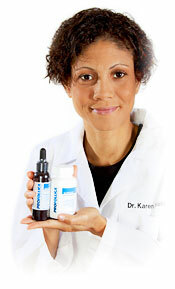 And that's why we're excited to announce that Profollica recently earned the wholehearted endorsements of the much-respected Dr. Karen Vieira, and Dr. Dave David! 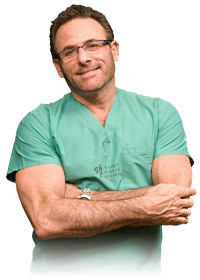 "As a cosmetic surgeon I'm always on the look out for new solutions that I can share with my patients to combat hair loss. And that's why I was so impressed when I came across Profollica, a hair regrowth system designed specifically for men suffering with male pattern baldness. As a doctor, I am the first to point fingers at the innumerable bogus claims made by many of the so-called hair regrowth systems being marketed today. But I give Profollica my wholehearted recommendation. Any man looking to defeat hair loss could benefit from trying Profollica's powerful three-step hair regrowth system." "Men experiencing a receding hair line or male pattern baldness now have an excellent solution for regrowing their own natural hair: the two step Profollica system. Designed to work on every aspect of hair health, Profollica lowers DHT levels and provides helpful herbals, nutrients and ingredients both via a gel and tablets. Traditional options for hair loss include drugs and surgery, but both have significant drawbacks. Propecia can cause long term sexual dysfunction even after discontinuing, and a common Rogaine side effect is further hair loss with no guarantee of new regrowth to replace it. Hair loss surgery is invasive, expensive and often needs to be repeated after further hair loss has occurred. The Profollica system has none of these drawbacks, as it uses all-natural ingredients that were carefully selected for safety and efficacy. Nutrients in the gel include zinc and vitamin B3, each with research indicating a positive effect on hair growth. Additionally, animal and laboratory studies have indicated significant hair growth potential for ornithine, citrulline and glucosamine. Ingredients in the tablet include several nutrients studied for hair health. Vitamin B3 widens blood vessels, helping bring nutrients to the surface of the skin and scalp. Vitamin B12 and PABA can guard against premature gray hairs. Iodine provides raw materials for thyroid hormones, which play a significant role in hair growth. Biotin is included, as biotin deficiency has long been known to contribute to significant hair loss. Several amino acids, including cysteine, lysine and trytophan, have also been shown to contribute to hair health. Proper hair growth plays an important role for men, allowing them to appear youthful and healthy. The Profollica two-step system allows for significant hair regrowth using only safe, natural methods. I recommend Profollica for any man interested in naturally regrowing a healthy head of hair."